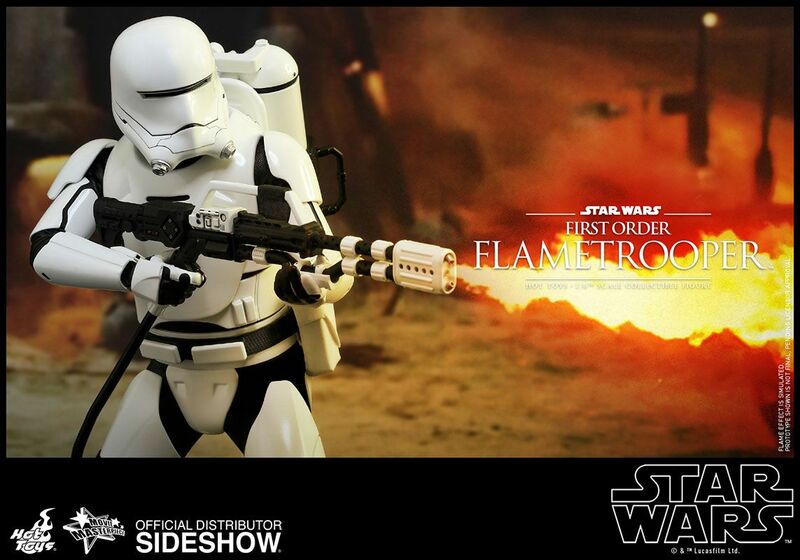 Sideshow Collectibles and Hot Toys are thrilled to continue to grow the First Order army with the official reveal of the First Order Flametrooper sixth scale collectible figure from the highly anticipated Star Wars: The Force Awakens! 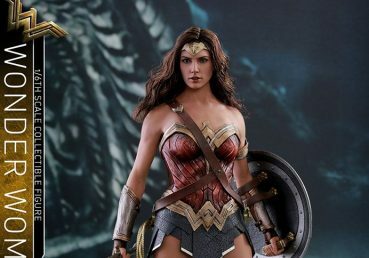 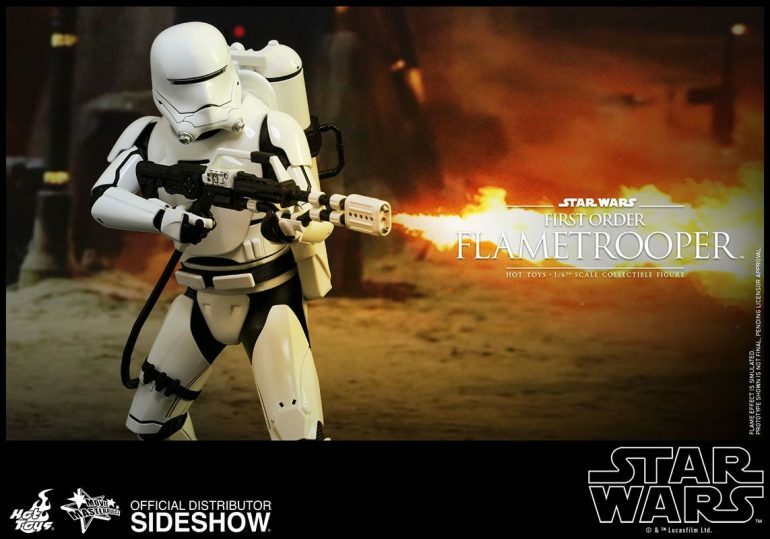 These specialized troopers are depicted for the first time on the silver screen as they carry dangerous incendiary weapons that can transform a battlefield into an infernal blaze! 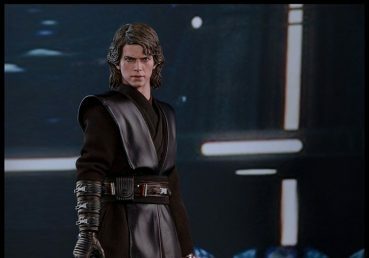 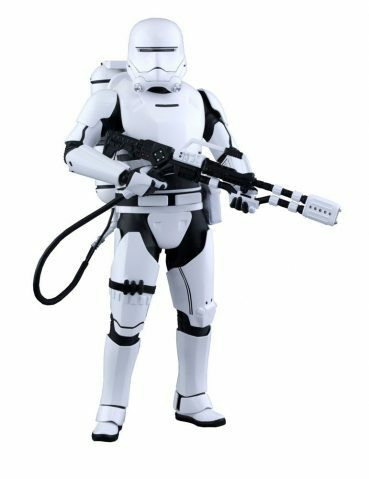 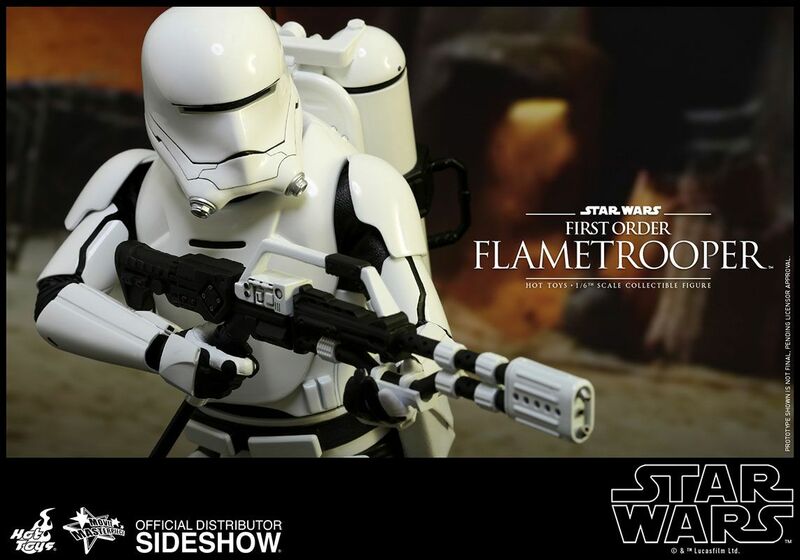 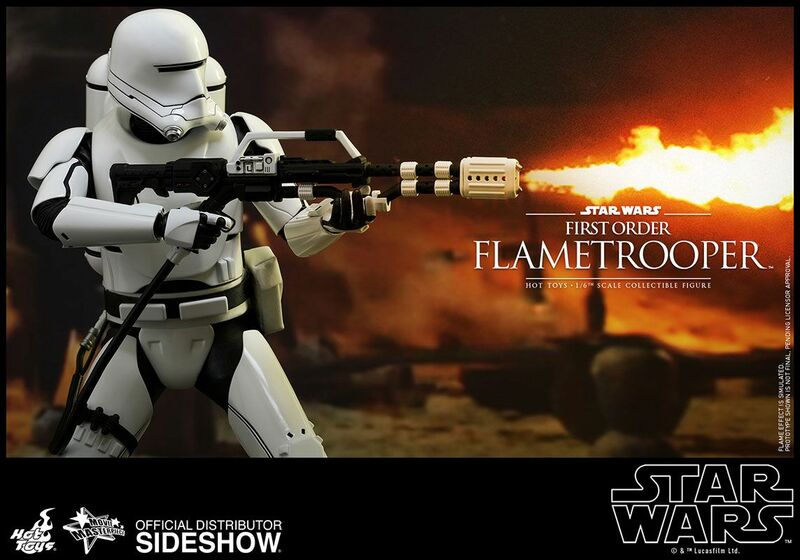 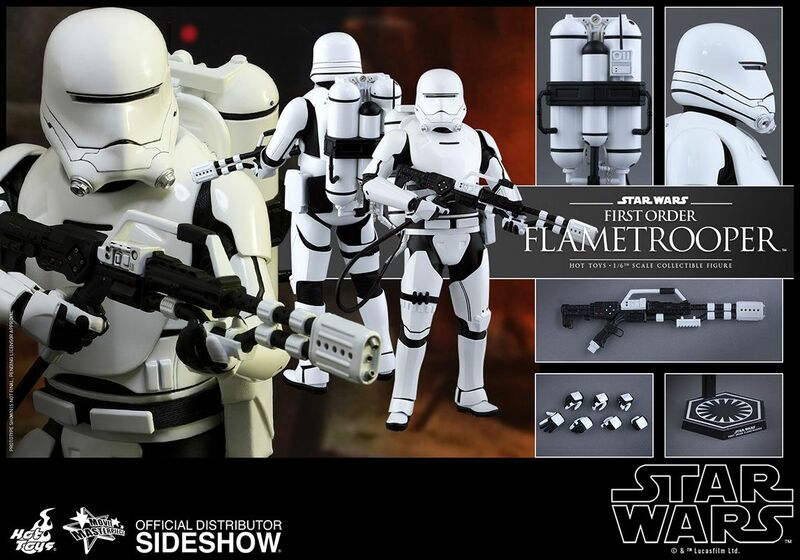 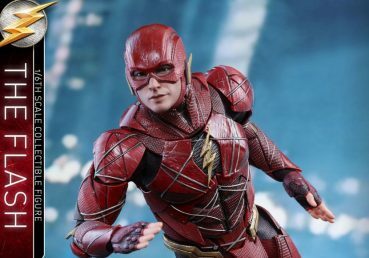 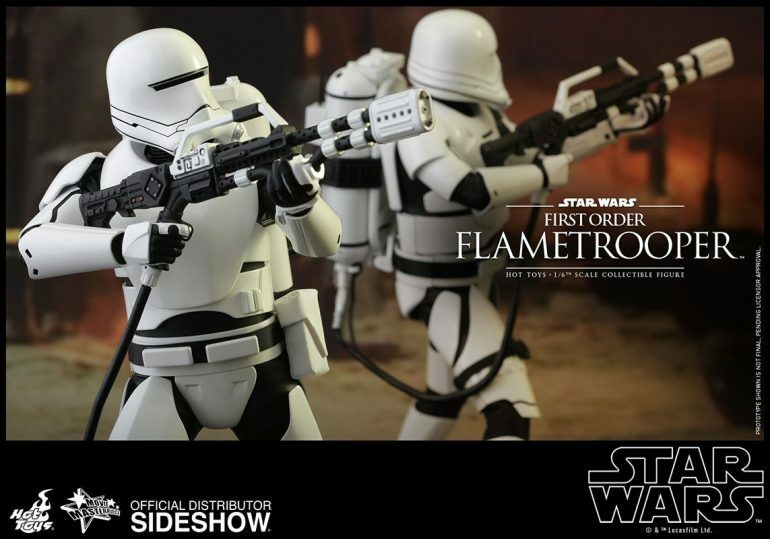 The highly-accurate collectible figure is specially crafted based on the image of the First Order Flametrooper in Star Wars: The Force Awakens. 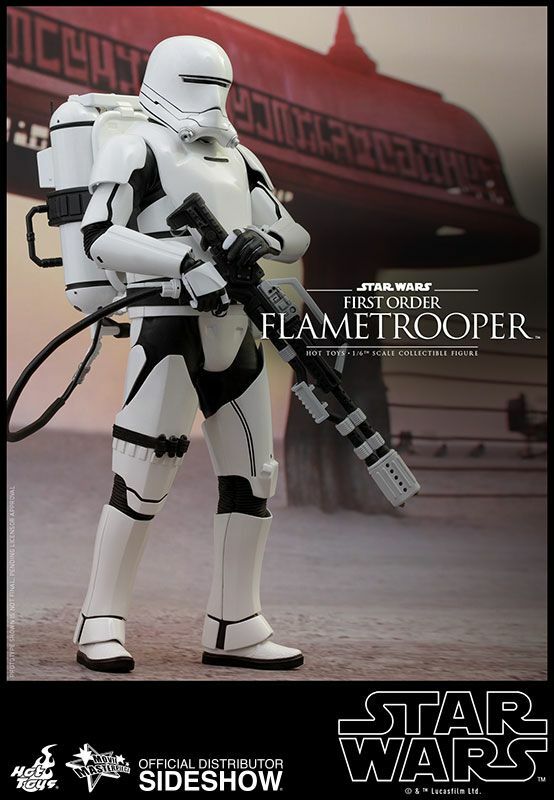 Featuring the sleek designed Flametrooper helmet and armor, the trooper’s signature flamethrower and backpack, and a specially designed hexagonal figure stand with the First Order’s emblem!